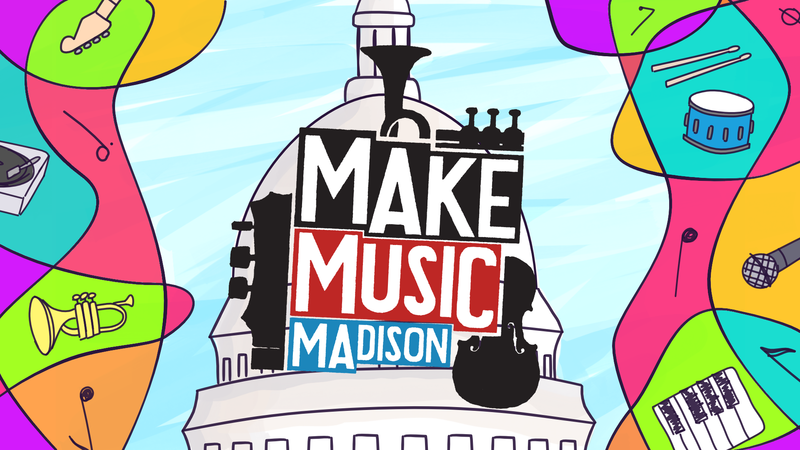 Each year Make Music Madison features a local visual artist who creates the look for that year’s poster, ads, and for the cover of our program printed as an Isthmus insert. Jourdan likes to think of himself as a modern Renaissance man; a working graphic designer, performing artist, and educator. As a designer he manages his own business, Designs by Hines. He loves the intersection of design, technology, and communication and enjoys creative solutions. His style is inspired by minimalism because of its simple yet polished nature. As a performing artist he writes, records, and produces music under his own name. He performs regularly with his wife Mary Wallin or with full band under the name Jourdan Hines & the Dapper Whimsy. Their style is a fun mix of pop, folk, bluegrass or what Jourdan likes to call #feelgoodmusic. He’s currently recording his second solo album titled “In Between the Middle”. As an educator, Jourdan has a BS in Music Theory & Composition and AAS in Music Production and has been teaching music for close to 20 years. 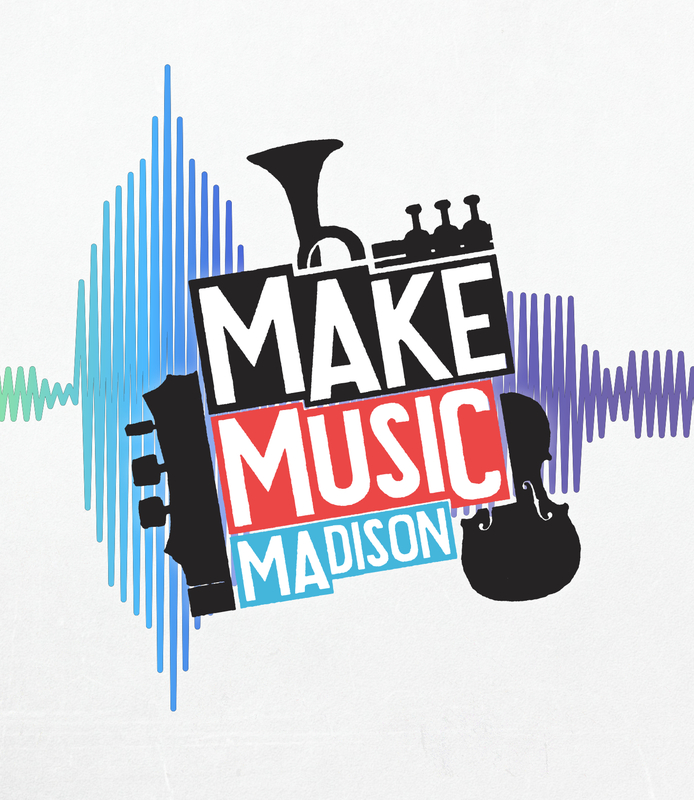 He has worked closely with the Madison Music Foundry developing classes on the subjects of live sound and music production. In addition to teaching music, Jourdan is also an active yoga instructor and is currently developing a yoga class aimed at musicians health and well-being. Ali Brooks is an artist, activist, and therapist. She gets great joy from bringing art and beauty to her surroundings, and has a lifelong legacy of doodling and decorating anything she could get her hands on, even puffy painting a colorful mural on her car during high school. She considers her artwork to be part od a practice of honoring creation, expressing vulnerability, and re-imagining what’s possible for ourselves and our world. Libra Rising Art gets its name from astrology and mythology, where Libra symbolizes beauty, justice, and connection. Ali is a social worker and community organizer in Madison, WI, and is deeply committed to working for individual and collective healing and transformation. Ali uses artistic expression to digest the trauma and oppression she comes into contact with in her daily work, and metabolize these experiences into truth, beauty, and creative medicine for our hearts. Elliot has been a performer at Make Music Madison as part of the The Earthlings, who released a new EP “Beacon” on March 25, 2016. He has also volunteered for Make Music Madison included bringing his drawing skills to the table to create our 2014 poster and Isthmus insert cover. In our first year in 2013, we took the opportunity to introduce our logo, developed through a partnership with KW2.